Would you like to try to get up? Yeah, I think maybe you should just rest there for awhile. At least until your mom can get you all cleaned up. 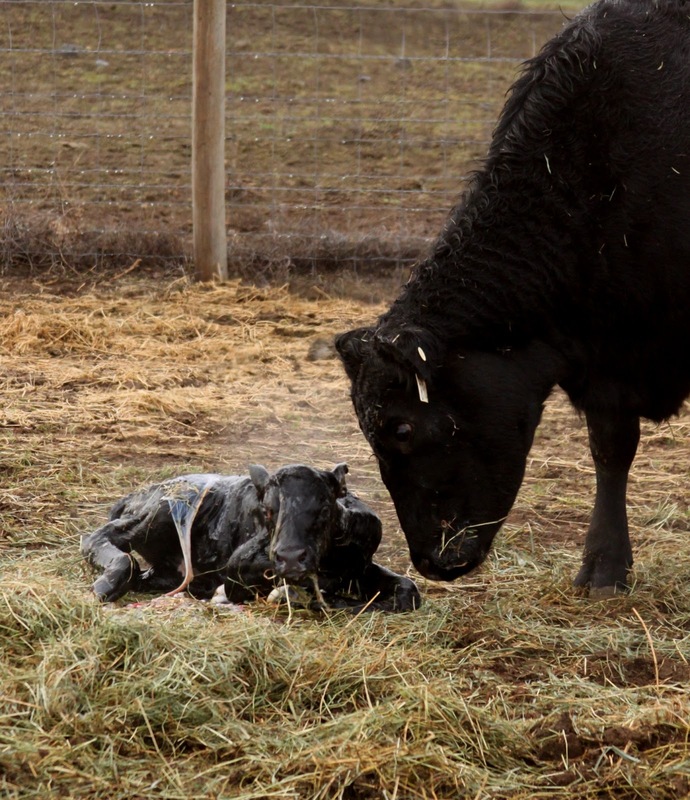 Welcome to the world sweet baby calf. 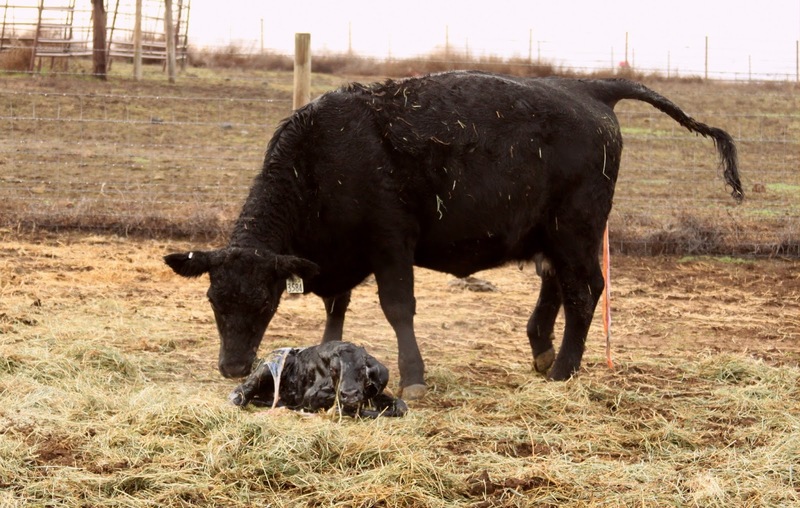 Late Saturday night instead of eating dinner out, or spending time at home with my husband on Valentine's Day - I spent it at the calving barn or in a pickup out checking cattle. It'd been a long day already - Clint was short handed at the ranch, while I helped out with the FFA concession stand at the Hermiston Horse Sale in town. I had gotten home about 6:00 pm and started helping - Clint was working on grafting two calves (which if you're not from a ranch means he'd lost two calves that day) and everyone was just tired. And in February - tired is usually accompanied with grumpy. But it's just that way this month, every year. 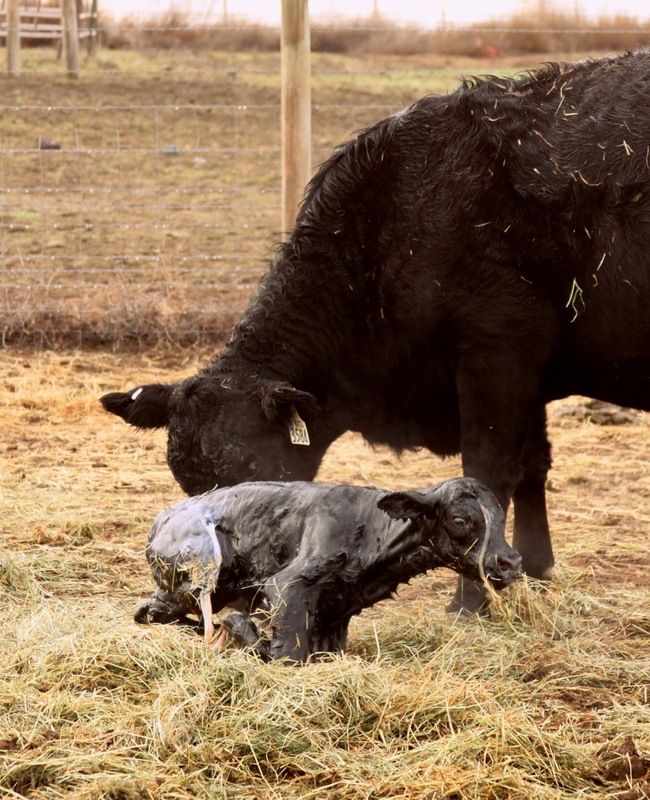 February is always hard with calving and a general lack of sleep - but even in the midst of all of that, I knew that I was right where I was supposed to be. Later that night as I was checking the cows along the river I watched a baby calf being born by myself. Clint was still working on the second graft calf, and I'd gone out to check cows. 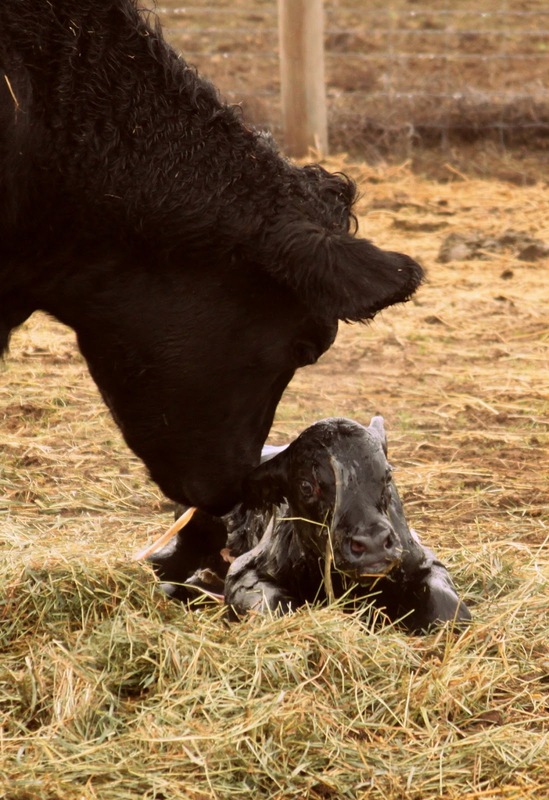 I'd spotted Cow #1423 laying out in a patch of tall grass and saw she was almost done pushing her calf out. I figured she was probably good to go, but I thought I had two extra minutes so I'd wait and make sure everything was all right. 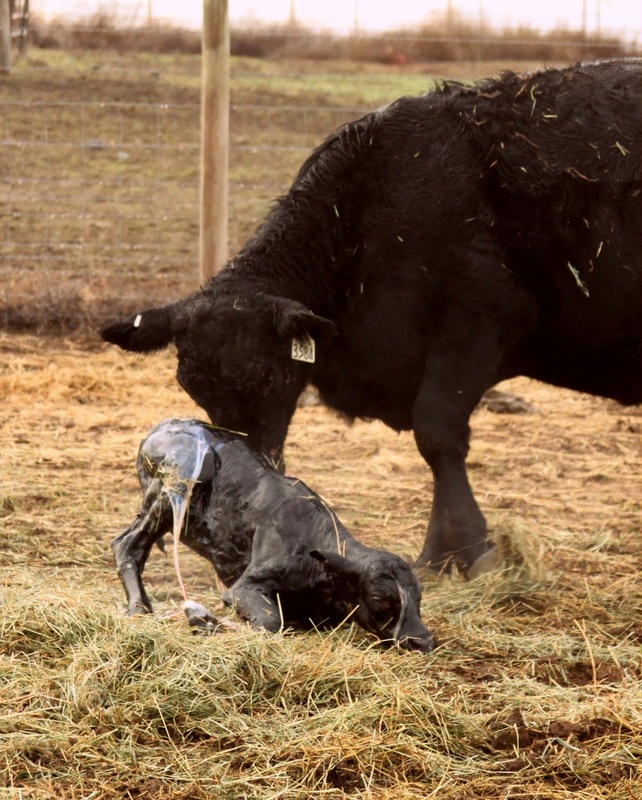 And it was as I rushed out of the pickup once her calf was born, and saw that it needed my help to unfold the calf so that it's body wasn't laying on top of it's head & neck that I knew I was meant to be there. 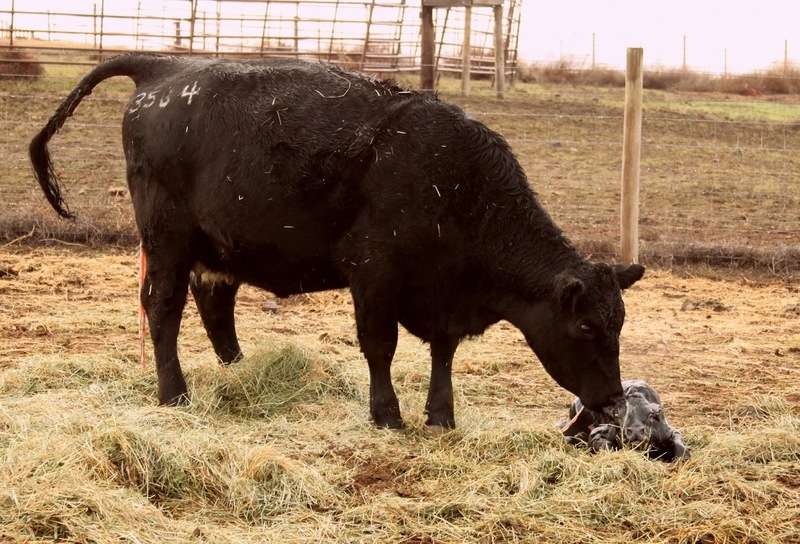 The calf took a breath, as I stepped back from a mama cow who was a little on the fight about what I was doing to her calf - and got in the pickup and headed back to the gate & Clint so that we could continue on & check the heifers. It might not have been where I pictured myself to be that night - but it was right where I needed to be. I hope the start of this new week finds you right where you need to be too. Those are great pictures. I love the one with the calf wide-eyed and nostrils flared, he is really getting a lung full of air!